Human resources management is a special kind of management activity that requires specific functions and special qualities for people who are engaged in this activity. Personnel management is to provide the necessary organization of skills and skills and to maintain the desire to use these skills and skills from its employees. The organizations solve this problem at the expense of creation of special systems of selection, development, an estimation and compensation of the personnel. Personnel management consists in selecting and maintaining the required organization of personnel, its professional training and development, evaluating the performance of each employee in terms of realizing the organization's goals, enabling it to adjust its behavior, rewarding staff for its efforts. In order to successfully develop, the organization must manage the selection, training, evaluation and reward of staff, i.e. create, use and improve methods, procedures, programs for organizing these processes. Taken methods, procedures, programs are human resource management systems. Traditionally, there are four such systems that correspond to the basic functions of human resources management: recruitment, training and development of personnel, personnel assessment and staff remuneration. The purpose of recruitment is to create a pool of candidates for all jobs, taking into account, including future organizational and staff changes, layoffs, relocations, retirements, expiration of contracts, changes in direction and nature of production activities. Among the basic principles of recruitment, the following should be highlighted. The principle of planning means that the activities aimed at improving the staffing are carried out systematically, based on the planned need for employees and taking into account the prospects for the development of staff and the organization as a whole. The principle of alternatives is realized through attracting as many applicants as possible in the organization. 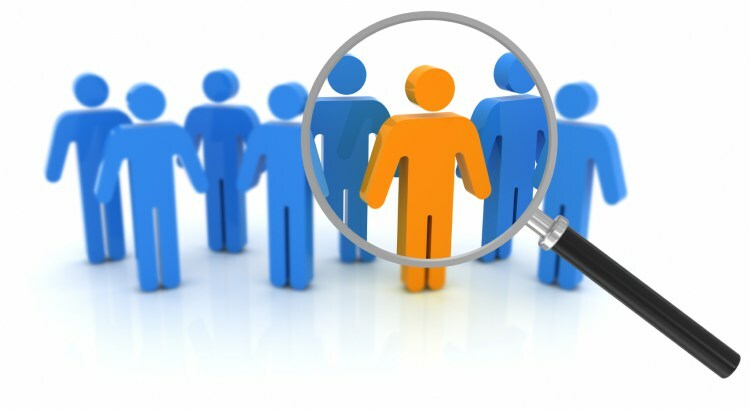 The principle of active selection is the constant work with potential candidates for vacancies in the organization, the use of active methods of searching and recruiting staff. The initial stage in the process of personnel management is recruitment and selection of personnel. The modern level of development of the theory of personnel management allows us to use a variety of methods to find the right specialists and apply complex multistage selection systems that cover all aspects of the individual. When selecting personnel, employers deal with people who seek to realize their goals by choosing one or another organization. In the same way, managers try to realize the goals of the organization and their goals, selecting the candidate. The analysis of the content of the work is a process of systematic and detailed study of the content of the work. Such an analysis can be carried out using various methods. In practice, simplified workplace models are often used. At the same time, complete models are used for qualitative recruitment of personnel. One of the variants of the model, for example, includes 15 elements representing the qualitative and quantitative characteristics of the workplace. Technology of work with personnel at enterprises and organizations (personnel certification, career planning, advanced training and retraining of personnel). Having determined the requirements for the candidate, HR management can proceed to the next stage - attracting candidates whose main task is to create a sufficiently representative list of qualified candidates for subsequent selection. The main restrictors at this stage are the budget that the organization can spend in the implementation of recruitment procedures, the human resources that it has for the subsequent selection of candidates and the time required to implement these procedures. Before the organization, there are three questions: where to look for potential employees (sources), how to inform them about available vacancies and how to select the most suitable employees for a particular workplace (methods). There are two groups of sources: internal (from the employees of the enterprise) and external (from people who are not connected with the enterprise before) sources. Selection through informal contacts of employees. and "nepotism". Independent candidates. Advertisements in the media - on television, radio, in the press. Contacts with universities and other educational institutions. Employees who have left the organization can act as a source. Customers and suppliers can offer the necessary candidates. "Bounty Hunting" - enticement of the best workers from other organizations. use at least two methods of attracting candidates from outside.